How to Work with a Virtual Assistant to Manage Your Social Media? Michael Brodie- Nov. 22, 2017, 5:26 p.m. This article is going to answer the million dollar question on virtually every entrepreneur's lips when it comes to hiring a virtual assistant. The question is "How to work with a virtual assistant to manage your social media". So let's show you step by step how to do it. Before you decide to read the article, I've also posted a video edition that answers the same question of "how to work with a virtual assistant to manage your social media", I know some people prefer to watch and listen to a video as opposed to reading an article. Feel free to watch that instead if you want. Build consistent snowball social media branding. By this I mean consistently day in day out posting variable and interesting branded content that helps you gain traction over a period of time. Grow your business and grow your personal and professional brand by building a larger more profitable network. How? It's simple, do what I do, and engage with relevant people and bring value to the social marketplace. Here's an example of what my virtual assistant does for me in terms of quotes and social engagement. I myself did not create this image nor did I add the text, logo or post it to social media. Instead, my social media virtual assistant does it for me. Everything in life needs a good old fashioned scrub every now and then and social media is no difference. Think about it, what if your brand is being bashed online? Could some annoying little git with nothing better to do be sabotaging your brands performance? Perhaps a genuine misunderstanding with a customer has occurred and they are venting anger on social platforms, by not responding, you're damaging your brand without even knowing it! Now it might seem trivial to some who are less internet savvy, however, remember we as humans are often prone to both prejudice and social proof. So if we see bad things online it can often influence our own decision over the said brand or person. Solution? Make it part of your social media virtual assistants job to monitor and respond to negative comments. Return on investment and targets are key to achieving success in any social media endeavour. It's real simple, just set targets, for example, X number of twitter followers or Facebook fans. Perhaps reach out to X amount of people on LinkedIn. Set targets, be realistic and work with your social media VA to not only hit targets but smash them! Remember that celebrity who won the reality show back in 2002? No, neither do I! My point here is not to remember some star from yesteryear, but simply to give an example of what happens when you leave the public's eyes for to long. Update your profiles and be alive. Stay in the game! Have you noticed people on LinkedIn, Twitter, Facebook and other platforms regularly update their profiles? By updating your profile I mean the background image, fresh blogs, new content. Keep it fresh, be current, show you're in the social game and active in it. Have your VA do this maybe once a month or every so often. How about managing social media ads? 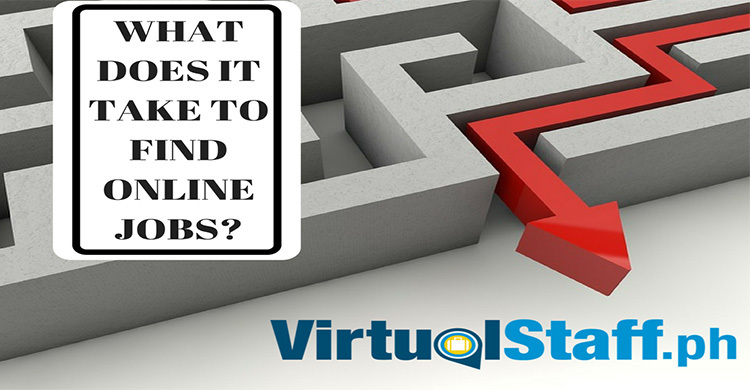 Now don't get me wrong if you need someone to handle complex PPC (paid advertising) campaigns then I suggest hiring a dedicated PPC expert in the Philippines, which of course you can find at www.virtualstaff.ph by browsing resumes. 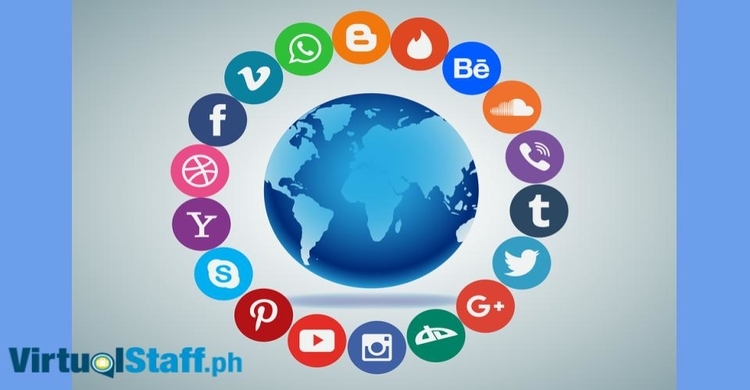 However, if it's basic ads such as to promote a blog post, image or video on a platform like Facebook, then why not get your Filipino social media virtual assistant to handle that for you? Key here is remembering that social media like all business is a snowball effect. It's about gaining traction each day. The best way to imagine is to image a saw against a tree. It does not take one swing to knock the oak tree down, it takes persistent attempts until eventually, it falls. Remember to bring value and have your social media virtual assistant change things up. Don't just post quotes each day, post branded info-graphics, share other people's content, drop messages to say "hi", participate in groups. Be active, but don't be a wolly brain and just bombard people with utter tosh! Build a buzz around launching a product. Now don't get me wrong, you may not be launching any new products, however, the biggest reason most small businesses and entrepreneurs fail is because of obscurity! You need to be in the game to win the prize. How can anyone do business with you if they don't know you exist? Do you agree when I say that people make money and buy things because they perceive it as being of value? Have your social media virtual assistant build a buzz around your business. Seriously if you take one thing from this post I hope it's this. GET OUT OF OBSCURITY. Get into the marketplace and interact socially with potential customers. 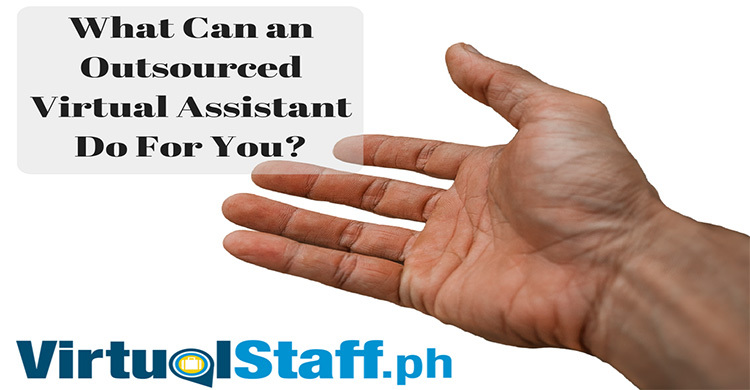 You don't have an excuse because a virtual assistant can be hired from $200-$250 a month part time in the Philippines if you go to www.virtualstaff.ph. HAVE YOUR VIRTUAL ASSISTANT WATCH COMPETITORS LIKE A HAWK! Have your social media virtual assistant or Filipino virtual assistant watch your competitors and analyse what is working. I'm an advocate of keeping tabs on competitors. I did this and do this in every business I get involved in. Back when I was in the retail business and owned a chain in the UK, I used to be in competitors stores getting ideas and using my eyes and brain to calculate whats working and what we could adopt. Remember, see what's working, see what's not working, see what they are doing. How about liking and following your competitor's social media so you get insider info? Remember once you get the info, attack the market and bring your own value.